The Herr's company has many varieties of BBQ chips and snacks. This week I sampled their original Barbecue flavored potato chip. Herr's Barbecue chips are thin and crispy. Each chip was loaded with their BBQ seasoning. 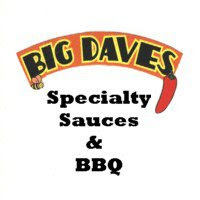 The chips are quite salty and have a decent BBQ flavor. 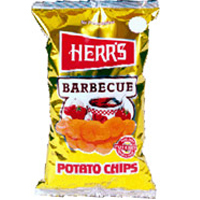 Herr's Barbecue chips are quite similar to most store brands as well as region brands like Utz and Clancy's. When in need of a salty snack, these chips are a good, savory option. They go great with burgers and sandwiches. While there's nothing particularly exceptional about Herr's Barbecue chips, they're still a good snacking option. To learn more about Herr's BBQ snacking options, click the title of this review. See how Herr's Barbecue chips rate on the "Product Reviews" page. 0 Response to "Herr's BBQ Potato Chips"